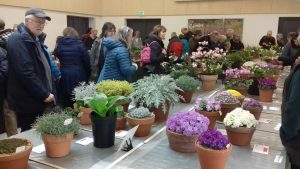 The Alpine Garden Societies 2018 South West show was held at the wonderful Royal Horticultural Society gardens at Rosemoor on Saturday 24th March. 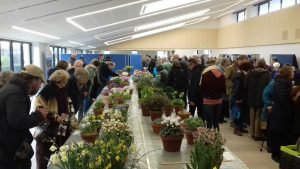 We were delighted to receive an invitation to attend the sales area. 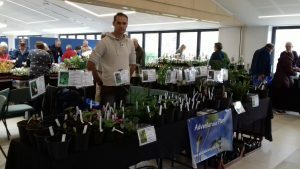 On the Saturday morning we set the alarm early and made the hours drive to Rosemoor with a van packed full of Arisaema, other aroids, unusual perennials, bulbs and various rarities, and joined the rest of the specialist nurseries at the show. 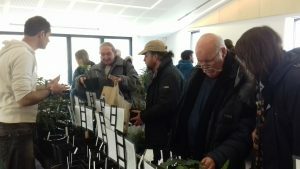 For the plant enthusiast, an incredible selection of wonderful plants was on offer. 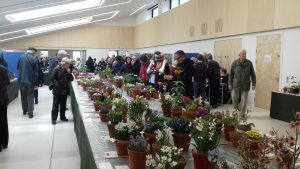 The quality of the show benches was absolutely first class and the displays of perfectly grown exhibits was breathtaking and inspiring. 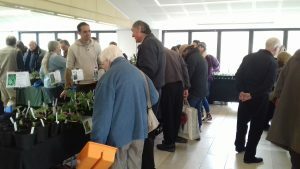 It is tempting to enter our own exhibit next year – Dead Horse Arum, anyone?! 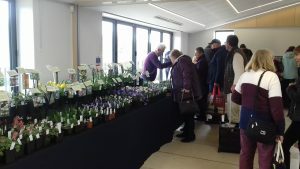 We’ll be at next years show too – already booked for Saturday 23rd March 2019.